Travel Explore Beyond: Sea Urchins, Anyone? 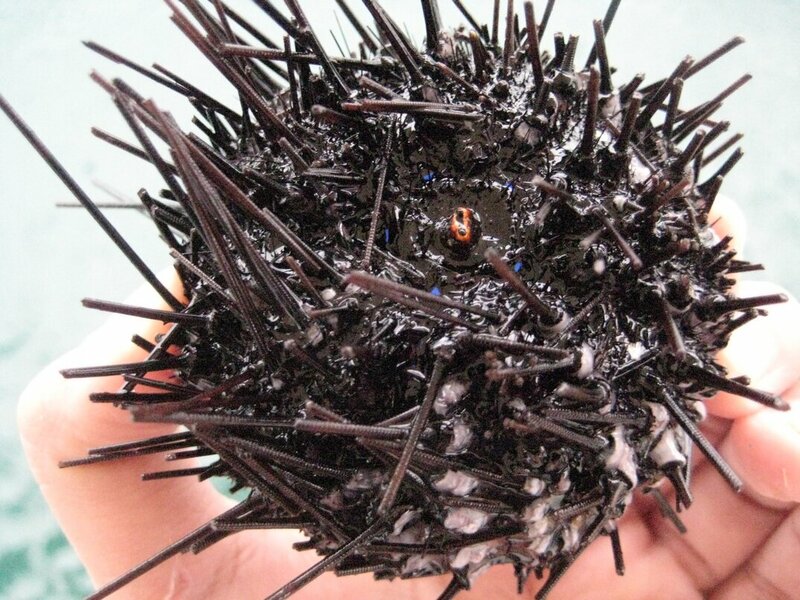 There is fear masking Sea Urchins. The first thing that gets to your head is "DON'T GET NEAR THEM". 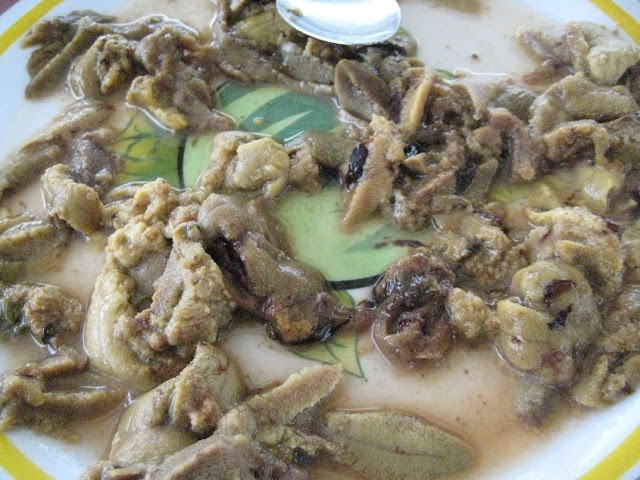 But during my travels I encounter them as a "delicacy" and for Pinoys, any unusual food they treat as an aphrodisiac. 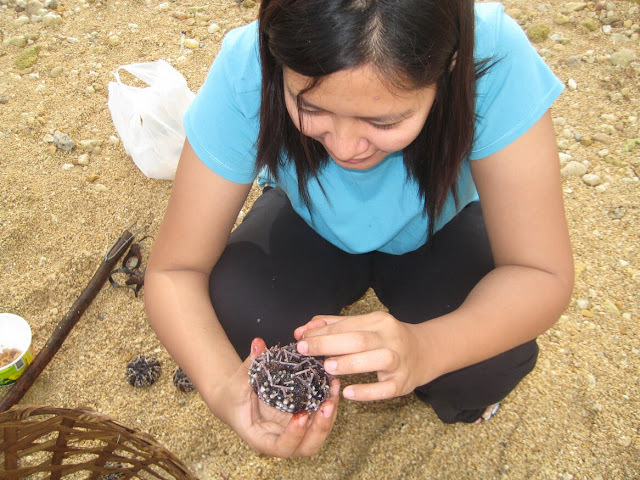 It just thought Sea Urchins are not edible. 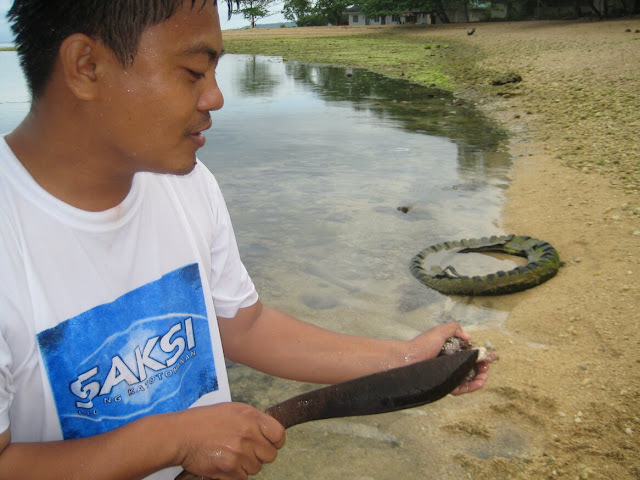 First time I encounter them is in Coron, while swimming in Banol Beach, an old man was harvesting them but I did not think that they will be eating it. I just thought he just wanted the waters to be free of them. He told us not to swim at the part where there are reeds because they thrive there. The second time is in Matutinao Cebu, a guy geared with a spear and a wooden basket showed his harvest. My sister was brave enough to try it. He said the local government taught them how to select and eat them. You eat it raw, cracking open the shell and then swallow the meat. The third time is back in Coron. 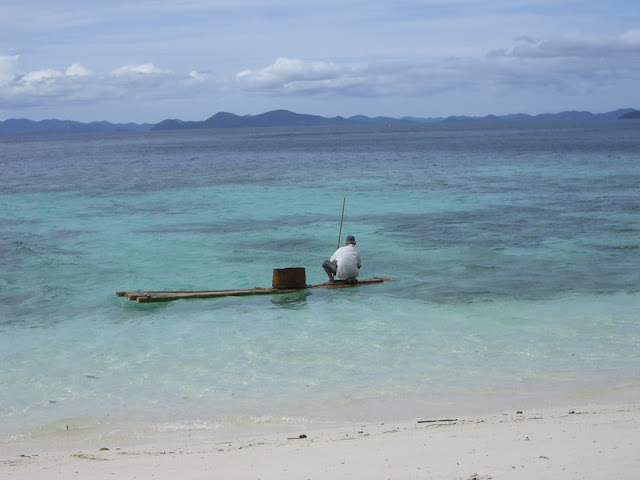 While island hopping, I saw the boat man diving. I asked what was he looking for. 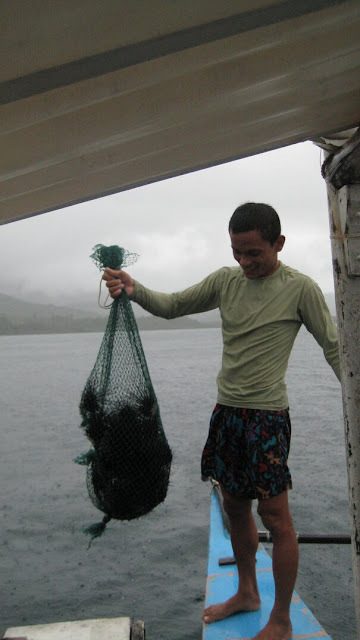 He was searching for Urchins. 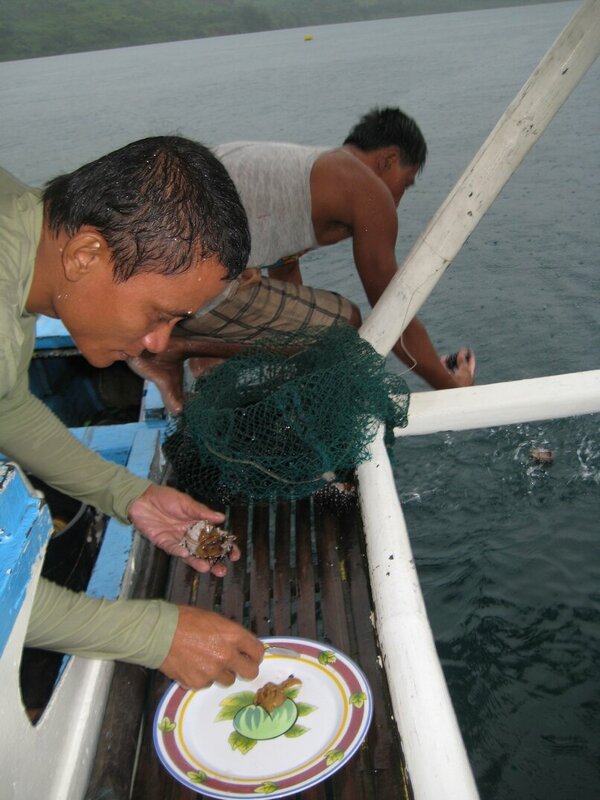 It's their standard viand when fish is unavailable. They even have a spicy vinegar with red peppers readily available. Correct me if I'm wrong, I know the vinegar is handy at times you get stung by one. That time they even taught us how to collect and safely remove the spikes. 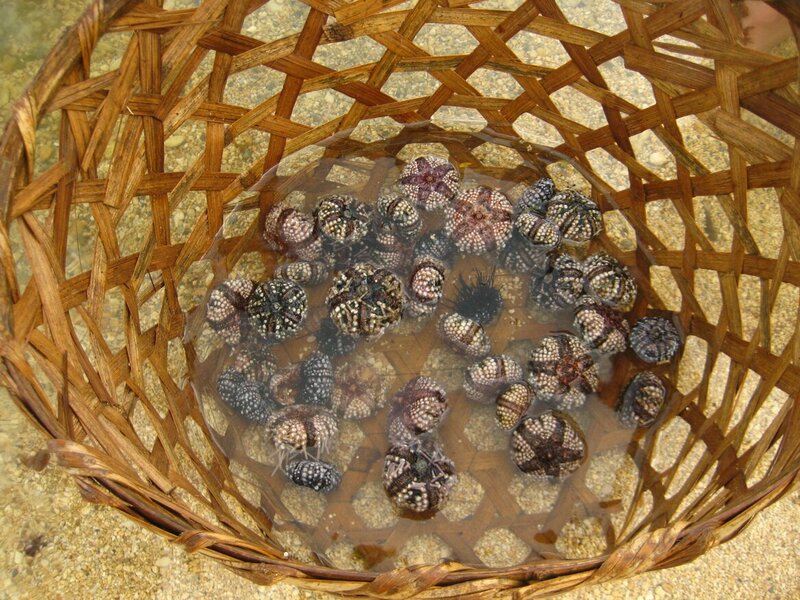 After putting them all inside a net, you shake it all off and the spiny things will fall off. This time I bravely tried it. It tasted like a lightly flavored crab fat but has a sandy texture. I thought that was the last time I'll have them. 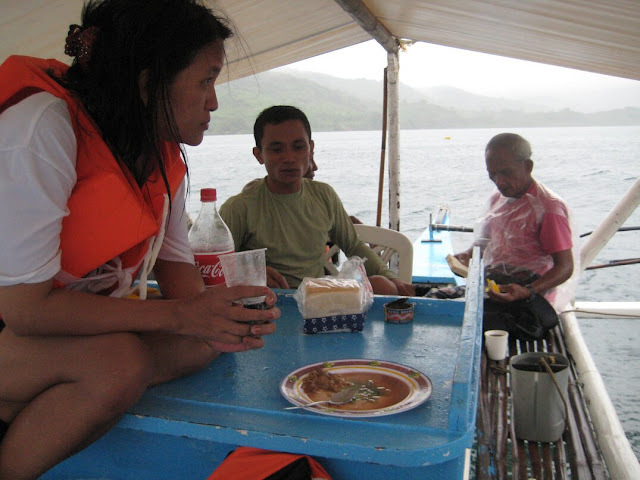 But while traveling to Tambaron, south of Mindoro. I encountered them again as snacks.